Why do spells and other rituals use rhymes? Rhymes, especially rhyming couplets, feature prominently in existing magical texts and are recommended in books and classes that teach spell-craft. However, many modern poets writing in English avoid rhyme and some literary journals even specifically request that submissions do not include rhyming verse. Despite this disparity, there are pagans and magicians who are successful poets (including contributors to Arcana: the Tarot Poetry Anthology). the same old witchcraft when your eyes meet mine. like a leaf that’s caught in the tide. Here are four rhyming couplets (AABBCCDD) plus an extra rhyme at the end that calls back to an earlier couplet (C). Immediately I notice that “spell” itself is the first word that spawns a rhyme; love’s “black magic” is aurally like rituals that use couplets. In addition to sharing the spell/well rhyme with “That Old Black Magic,” Spenser draws on Arthurian legend (Arthur is still a “Prince” in the Faerie Queene), which also figures heavily in some rituals tools, like the Tarot. 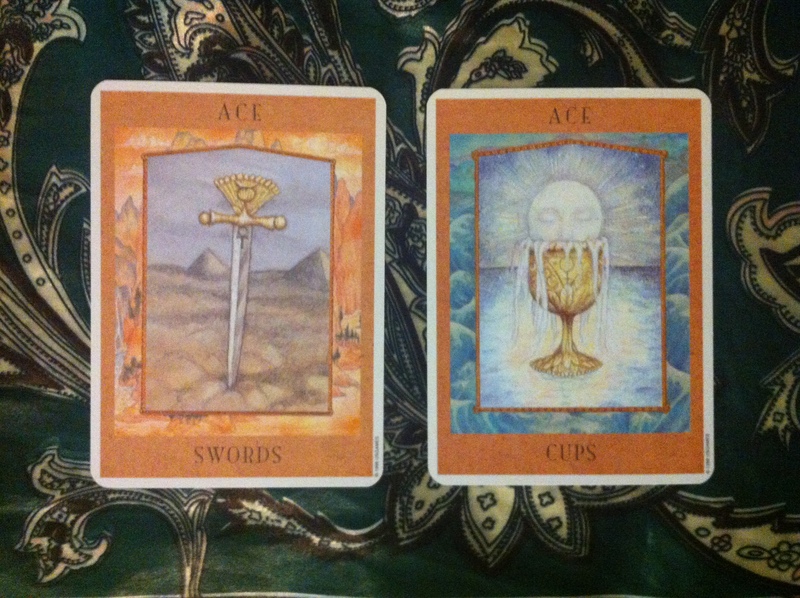 The Ace of Swords and the Ace of Cups share the symbolic language of Arthuriana—Excalibur and the Holy Grail. Thousands of rhymes that describe Arthur’s world are embedded in the visual medium of Tarot, as well as in actual swords and cups that are used in ritual. The use of rhymes in magick combines the traditions of song and literature. Stories and music illustrate archetypes that can fuel ritual and connect us to timelessness. Modern poetry, on the other hand, often seeks to embody its specific moment and sound conversational rather than ritualistic. It’s also difficult to come up with unique rhymes in English (as opposed to more naturally rhyming languages, like Spanish or Italian). When crafting poetry/spells with the Tarot, one could consider a single-syllable rhyme written on the cards: Priestess and Empress. How does the rhyme (-ess) draw parallels between these Major Arcana? 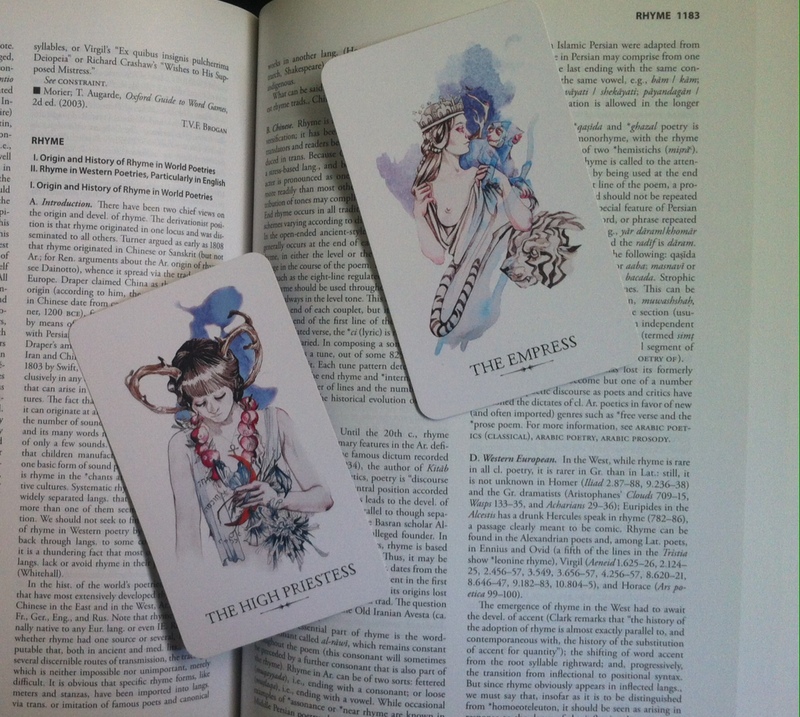 How do the High Priestess and Empress complement each other? Would they make a couplet (AA) or fit into an alternating rhyme scheme (ABAB)? You can purchase Arcana: the Tarot Poetry Anthology through the publisher’s website, Elliott Bay Book Company, Amazon, and other stores. 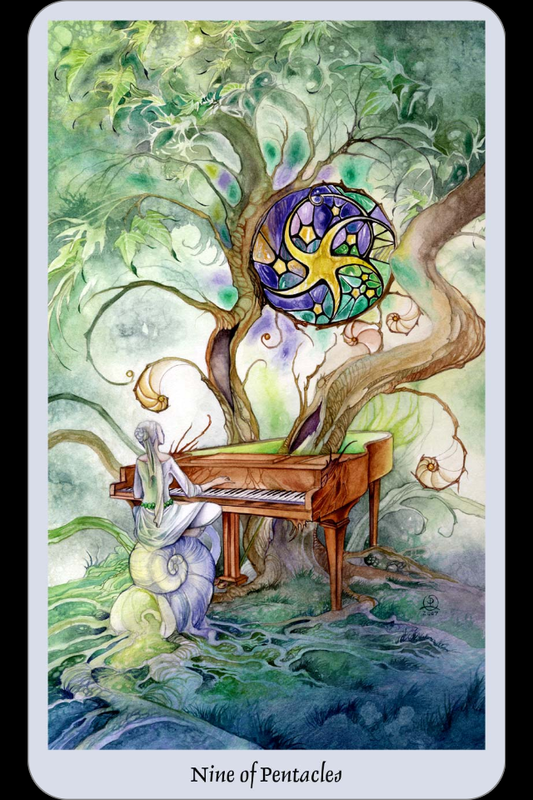 This entry was posted in Blog and tagged Arthur, Ella Fitzgerald, Goddess Tarot, Linestrider Tarot, magick, Marjorie Jensen, poetry, rhyme, Shadowscapes Tarot, Spenser, Tarot on July 1, 2016 by tarotpoetry.